A new bill proposes taxing of violent games, and treatment programs for those who have been "exposed." A Missouri state representative, Republican Diane Franklin, wants to place an extra tax on violent games. She has proposed a bill that would do just that, asking gamers to pay a little extra on titles ranging from Teen to Adult Only. Revenue generated from the new tax would go towards mental health treatment programs. Now, if that information alone is enough to make you scoff, you'll be interested to learn that the health programs the bill proposes are related to the treatment of "mental health conditions associated with exposure to violent video games." Yes, being exposed to violent games is treated as a tangible risk factor under the wording of the proposed bill. It's worth noting that similar "violent game tax" proposals have popped up before in several other states, none of which have been met with much success. However, the wording of this particular bill is somewhat unique in that it treats the vast majority of videogames (Teen and Mature rated games account for many, many new releases) as a singular risk factor. Now, don't get me wrong on this; mental health is a topic that needs to be discussed and improved upon, and both sides of the aisle seem to agree that the country as a whole needs to do a better job of detecting those in need of evaluation and treatment. 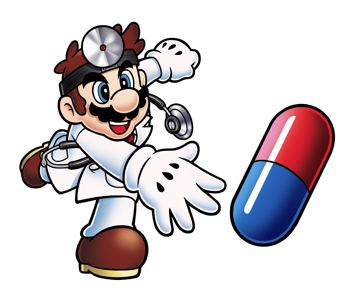 But to act as though booting up a Teen-rated game suddenly makes you a candidate for treatment is a bit extreme.